Choose A Reliable IT Company That’s Based In Nottingham. 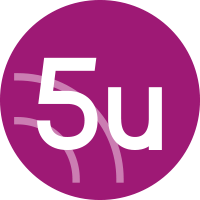 5th Utility Ltd provide a range of IT support services for businesses across Nottingham, including simple pay-as-you-go support and more proactive IT support services. Call us on 03300 53 59 55 today for free advice about your IT needs. Whether you’re looking for pay-as-you-go support services or more proactive managed IT services, we’ll be glad to help. We’re a reliable IT company based in Nottingham, covering The Midlands and the whole of the UK. Our service is unique in the fact that we provide an IT director who will help you plan for the future in terms of your technology needs. Your IT director will provide cost and lifecycle planning and regular strategy meetings to ensure that the technology supporting your business is future-ready. The likelihood is that your organisation relies pretty heavily on technology, so you need an IT Company that you can depend on. As well as providing a Nottingham based helpdesk, we provide proactive monitoring within our support packages to uncover any potential issues before they cause disruption. It’s not just IT Support that we offer, we also offer a range of managed services and consultancy to help complement your existing team. Our IT support services help your business run smoothly and efficiently. See why businesses and schools across Nottingham are switching to us for their IT support and get some free advice about your IT needs today by calling us on 03300 53 59 55. We’re happy to provide you with free advice about your IT Support needs.